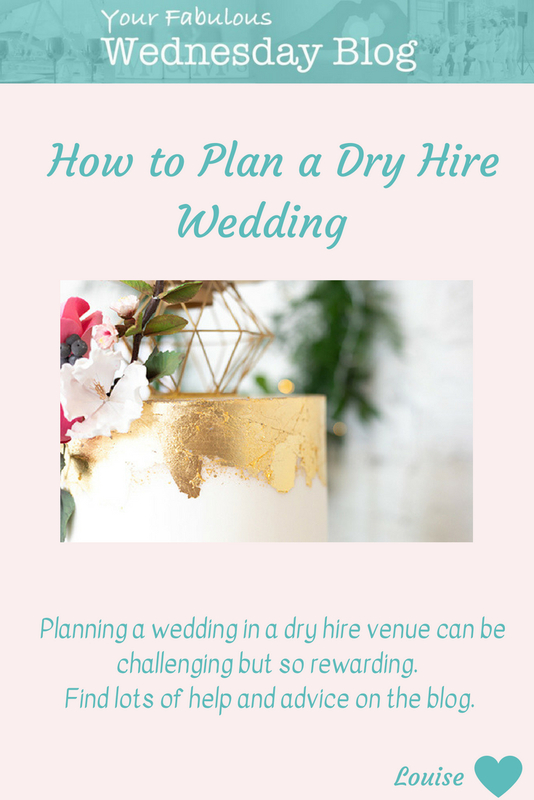 If you’re considering hiring a dry hire venue for your wedding, then you’re going to have more to think about and organise compared to a serviced venue with a coordinator. I’ll be talking specifically about marquee weddings in a future blog but many of the principles from this one will still apply. However, in this blog, I’m specifically talking about a physical building. So let’s start with the basics – what does dry hire mean? Basically you’re hiring the empty building (and gardens if there are any). So there’s no wedding coordinator, no bar staff, no kitchen staff, no furniture. You should however, have the basic infrastructure in the building such as electricity, running water and toilets. So it’s down to you to bring in the additional services you will need. Okay when you first hear of this concept it can sound a bit daunting. But the benefits can be huge. You don’t have to fit into a certain size or style of wedding package like you do with many serviced venues. You have free rein to design your day in your style. 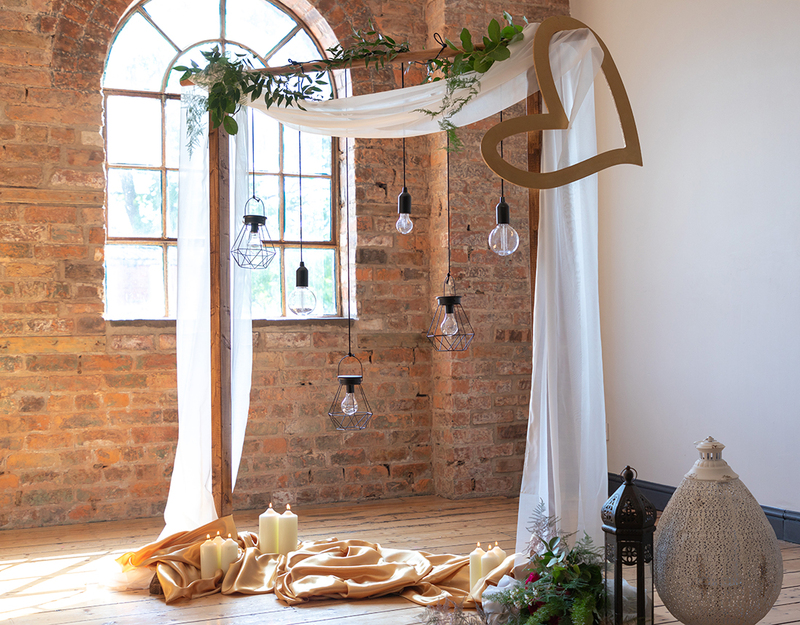 Dry hire venues are a complete blank canvas to style and dress how you like. 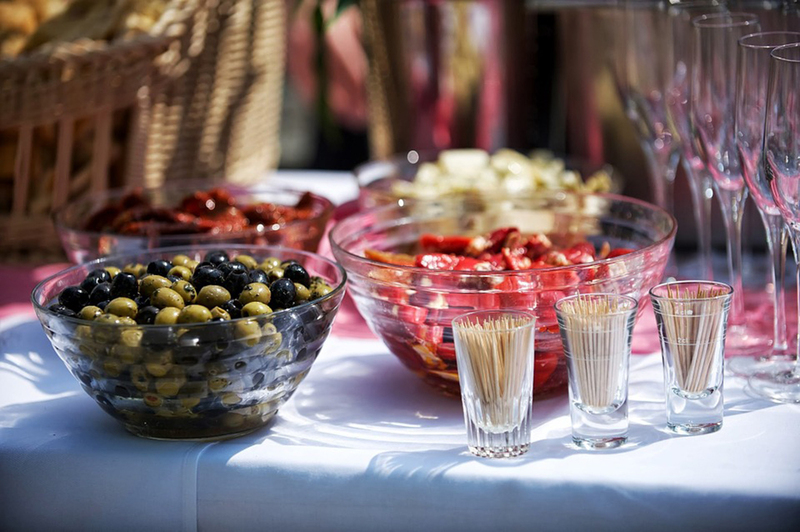 Other benefits include being able to choose your own caterers so you can choose exactly how you want to feed your guests. You don’t have to conform to a sit down 3 course meal and an evening buffet. Drinks packages at all inclusive venues can be pretty expensive as you’re often paying hotel prices for wine and corkage. Here you can supply your own drinks – cue the booze trip to France to stock up on cheap wine and beer! Sound exciting? Sounds amazing to me. So what do you need to think about. Initially a dry hire venue may seem like an absolute bargain when you compare the price to a package at the venue down the road. But you’re not comparing like with like. So it’s essential to do your budget work before making any decisions. Make a list of all the suppliers you will need. But in addition, you’re going to need additional things like furniture, caterers, bar staff and drinks, parking, transport, linens, cutlery, glasses, music, entertainment. 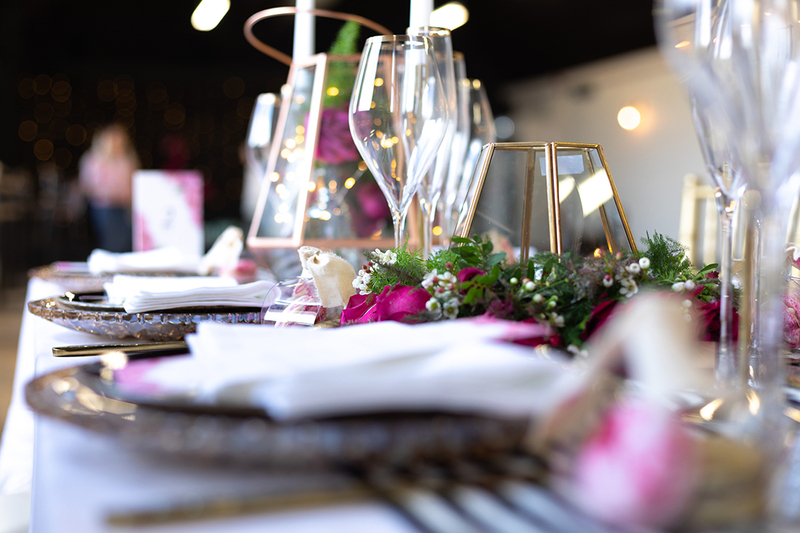 You may want to also consider a stylist for your venue décor. Now get some quotes for all these additional things so you can get a feel for the total cost. This way you’re comparing like with like and you won’t be shocked further down the planning process when the costs start coming in. Make sure you spend plenty of time with the venue asking them exactly what is and isn’t included. So double check that there is power, toilets, running water and what kitchen facilities they have. I do know of some venues that only have a generator for example and don’t have a full kitchen so can only allow cold food to be served. So do make sure you understand all this before committing to the venue. Be sure to ask about any restrictions too. For example, is there a curfew for loud music? Can you have open candles? Are they licensed for you to get married there or do you need to legally get married elsewhere? When you visit the venue, take note of the parking facilities. If there is no car park attached, where is the nearest car park? You’ll need to tell your guests where they can park nearby. If the venue isn’t easily accessible or has very limited parking you may want to consider laying on some transport for your guests. You’re going to need longer to plan this type of wedding so be realistic about this when considering your wedding date. Many of the additional suppliers you’ll need will also be booked up early as there aren’t as many of them around. You must get a written contract with all your suppliers. I’d always advocate you doing this anyway but in this scenario it’s even more important. Make sure it’s really clear who is responsible for what. For example, will the bar staff clear away empty glasses and wash them? Will the catering company provide waiting staff? Don’t make any assumptions or you will end up with some big gaps. Don’t try to be a super hero and do this by yourself. Ask family and friends to help. Find out from the venue when you can get access to the building. And ask about their security arrangements too – if you’re bringing everything in before the big day you need to know that everything is going to be secure. Create a detailed list of tasks which will need to be undertaken to get the venue ready. Ask people which days they can help you on and schedule them in with a list of jobs for them which are suitable for them. Allow more time than you think you will need for set up as well. So if you think a job will take 3 hours, allow 5 hours. Things don’t always go to plan and putting yourself under time pressure can be very stressful. Setting up your venue can be great fun – why not get some music on and open a bottle (or 4) of fizz!!? You will need to create a detailed schedule for the wedding day. What time is each supplier to arrive and where are they setting up. Who do they contact on the day with any issues or questions? When you’re putting this together work backwards. So start with the ceremony time (and arrival time at the venue if you’re not getting married there). Then work backwards to understand what time your suppliers will need to arrive. And think about what time they will need to be there until too. Some suppliers may charge extra if you need them to stay beyond their usual time. Make sure you share this with all your suppliers in plenty of time ahead of the wedding. You need to allow time for them to provide feedback and make any amendments to the schedule that they advise you will need. Don’t underestimate how much will be happening on the day of your wedding. Assuming that you’ve finished all your set up before the big day, there’s still a lot that will only be able to be done on the day. Things like cake delivery and set up, flower delivery, food being brought in and cooked. You’re likely to have around 15-20 suppliers coming in at various points of the day. Is there someone to meet and greet them and show them where they’re going to be working? Who’s going to be ringing them if they’re late to find out what’s happening? Who’s dealing with any issues they may encounter? Do you have someone to meet your guests and show them where to go? What if you run out of drinks and/or ice? Who’s checking the toilets are okay and replacing loo roll and paper towels? Don’t forget, you’ll also need to clean up and take everything back down after the wedding. So definitely make sure you have helpers available to do this. You don’t want to spend the first 3 days of married life clearing up empty glasses and plates! Again you can hire people in to do this if you really don’t want to do this. Hiring an On the Day Wedding Coordinator feels like an absolute minimum for this type of wedding. 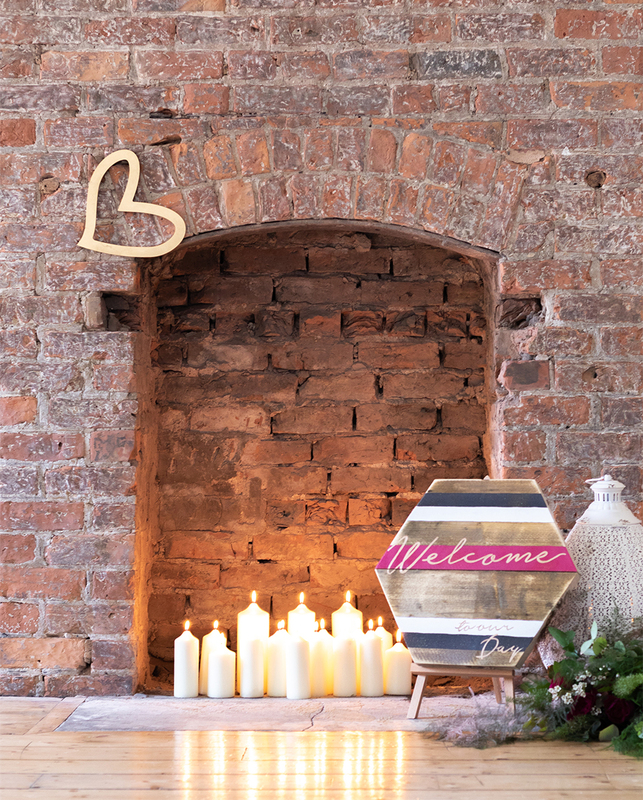 They will meet with you around 6 weeks before your big day and manage your suppliers from that point on. They will be there all day to deal with all the above and much more! Having a full planner will make the job even easier. They’ll be able to recommend the best suppliers and manage them throughout. Remember I can offer both of these services and love to work in this type of venue. The transformation from an empty room to a gorgeous wedding reception is an amazing thing to see. I also love the extra challenge this type of wedding brings for a planner because I’m a bit weird like that!! You can see more about my planning services here but remember they can also be tailored to your needs. So if you’ve made a start on things I can come in part way through and help you with the remaining things that you need help with. So if this sounds like your sort of wedding, and you’d like to chat it through some more, give me a shout. I’d love to hear your plans and ideas.